Amanda Weir has been one of America’s most reliable sprint freestylers for the last decade. Her ability to come through in the clutch has gotten her on three Olympic teams and won her three relay medals (a bronze in the 4×100 free in 2012 and a pair of silvers in the 4×100 free and 4×100 medley in 2004). Weir has also represented the USA at four World Championship meets, winning six medals. She set the American record (53.02) in the 100 free at the 2009 Worlds in Rome. Lest you think that’s just a supersuit-assisted fluke, Weir clocked a 53.75 in a textile suit seven years later at the 2016 Olympic Trials at the age of 30. “I don’t know if it’s because I’m older or because I really am working harder than ever before,” she told The Gwinnett Daily in the run-up to the Olympic Trials. 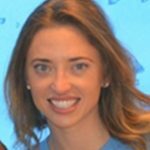 Weir has spent almost her entire career with SwimAtlanta, which began at age 8 and progressed quickly. When she was 12, she broke a National Age Group record. As a teenager, she helped Brookwood High School win four consecutive Georgia high school state championships. She was an Olympic medalist before taking her first college class at the University of Georgia. As a freshman, she helped the Bulldogs win all five relays (a first) en route to the 2005 NCAA team title. 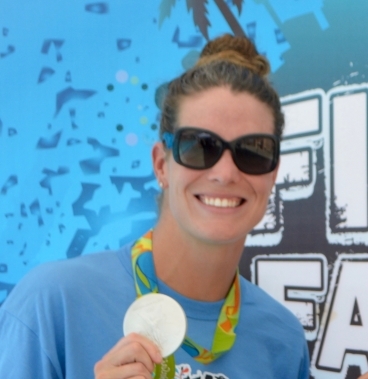 At the 2006 Summer Nationals, she broke the American record in the 100 free (53.58) and decided to turn professional, returning to SwimAtlanta and her longtime coach, Chris Davis. In fact, she stayed with Davis until recently, when she moved across town and transferred to another site run by 2-time Olympian Doug Gjertsen. But Davis is still a member of Weir’s family — literally. She’s married to his son Chris. Weir missed making the 2008 Beijing squad but found her way back onto the team four years later, this time helping the USA to a bronze medal in the 4×100 free relay in London. Rio marks the third time she’s swum the event on the sport’s biggest stage. During this Olympic cycle, Weir began cultivating some “what’s next” options. 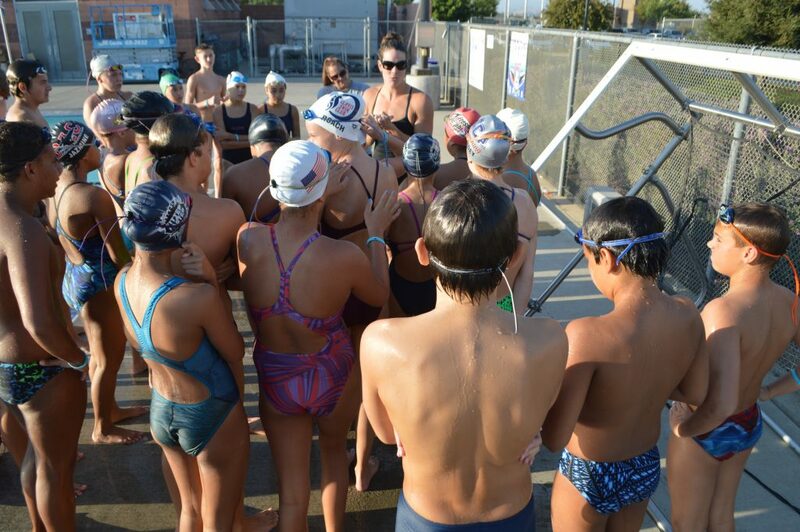 She currently coaches 12-and-unders at SwimAtlanta and conducts Fitter & Faster clinics. She has also developed a love for interior design, which she discovered while rehabbing her 1925 bungalow in Decatur, Ga.
That said, she’s not ready to hang up the goggles just yet. “I can’t stand the thought of life without swimming, it breaks my heart to imagine,” she told Suanee Magazine. It will always be a part of my life in some way, whether it be in coaching or speaking or visiting swim clubs and sharing my experiences. Athletes have a lot to learn from this swimming spit-fire at Fitter and Faster clinics.